Mexico is celebrating the one-hundred-year birthday anniversary of its most famous actor, Mario Moreno (Cantinflas). The actor was born in Santa Maria la Redonda neighbourhood in Mexico City and died at 82 years old. Fragments of his films will be shown at the Auditorium, the Music Library, and other places, including different areas of the crowded subway, among many other activities in the capital and all over the country. Various artists who met him, including Silvia Pinal, Maria Victoria, Sergio Corona, Xavier Lopez (Chabelo), and Carlos Espejel spoke about the famous actor in the round table Cantinflas and his Time, staged at the Cinematheque. 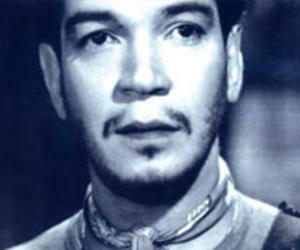 During his long career as an actor, Mario Moreno starred in over 50 films.